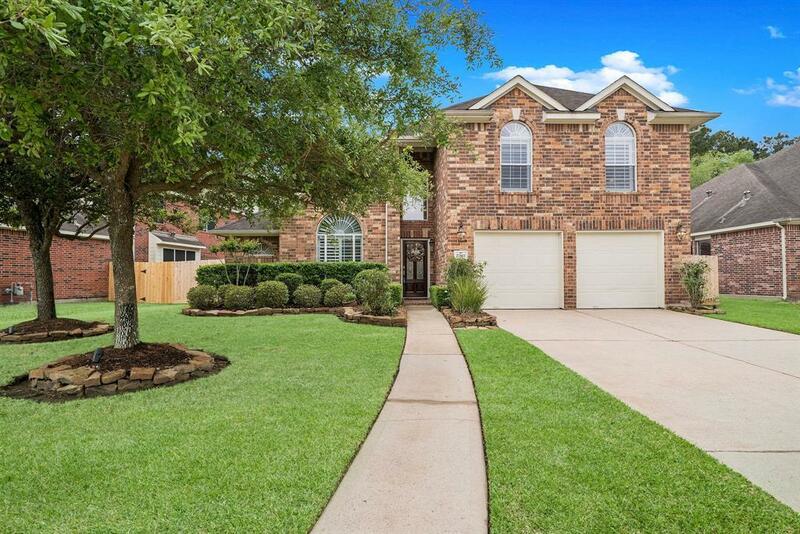 GORGEOUS 4 bedroom, 2.5 bath home in Spring Trails located on a CUL-DE-SAC street and backs up to a RESERVE. Shows like a MODEL HOME and features a beautiful OPEN floorplan with HIGH CEILINGS and spacious 2-story family room with Cast Stone Fireplace. 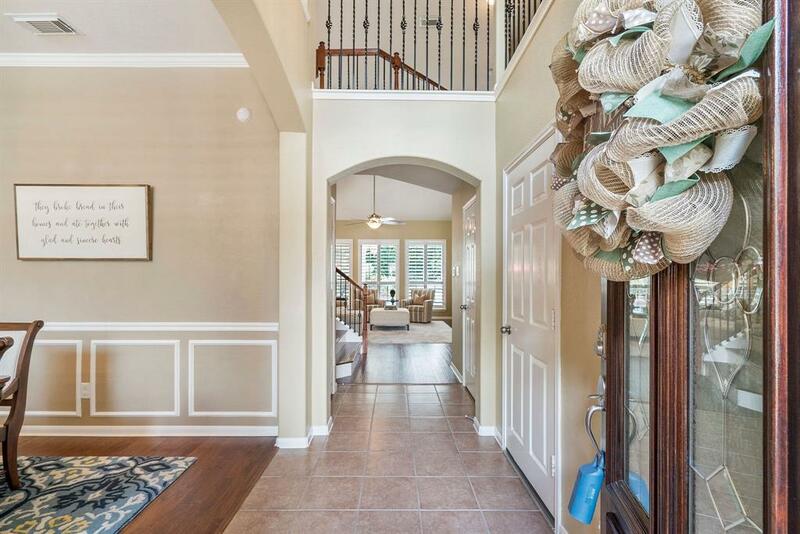 HARDWOOD floors and tile downstairs, PLANTATION SHUTTERS, dramatic wrought iron staircase, GRANITE countertops, SS appliances, breakfast bar, custom neutral paint colors, newer carpet with upgraded padding upstairs, plenty of storage and that is just on the inside. Enjoy entertaining guests or just relaxing in the BACKYARD OASIS featuring expansive covered patio, outdoor KITCHEN, POOL and SPA with heater and CHILLER for those hot Texas days, water features, sundeck and extensive professional landscaping including outdoor lighting and sprinkler system. 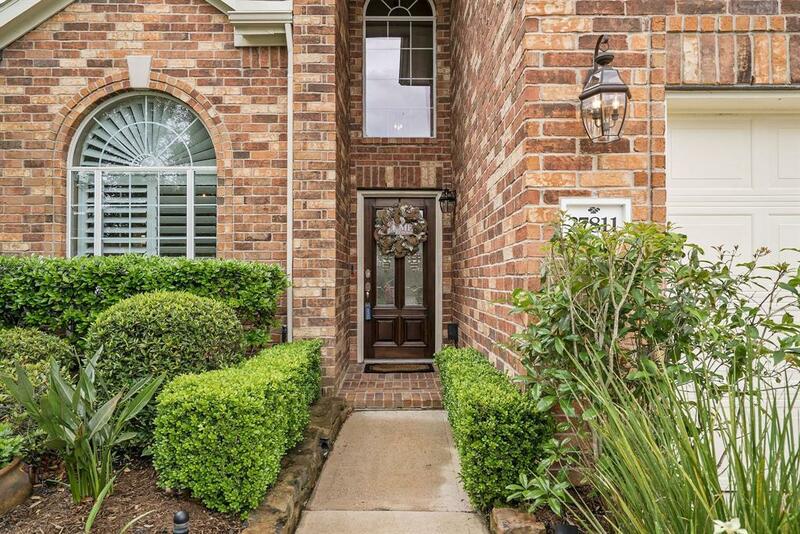 The home is conveniently located and JUST minutes from Hardy Toll Rd, Grand Parkway, and I-45. 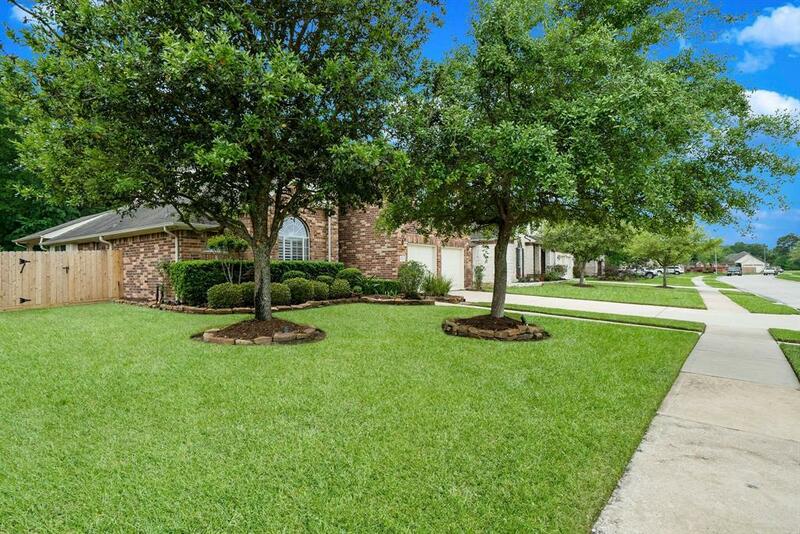 Zoned to the highly acclaimed Conroe ISD schools and the new Grand Oaks High School.